Add a touch of designer glamour to a rainy day with a gorgeous umbrella by iconic British designer Lulu Guinness. 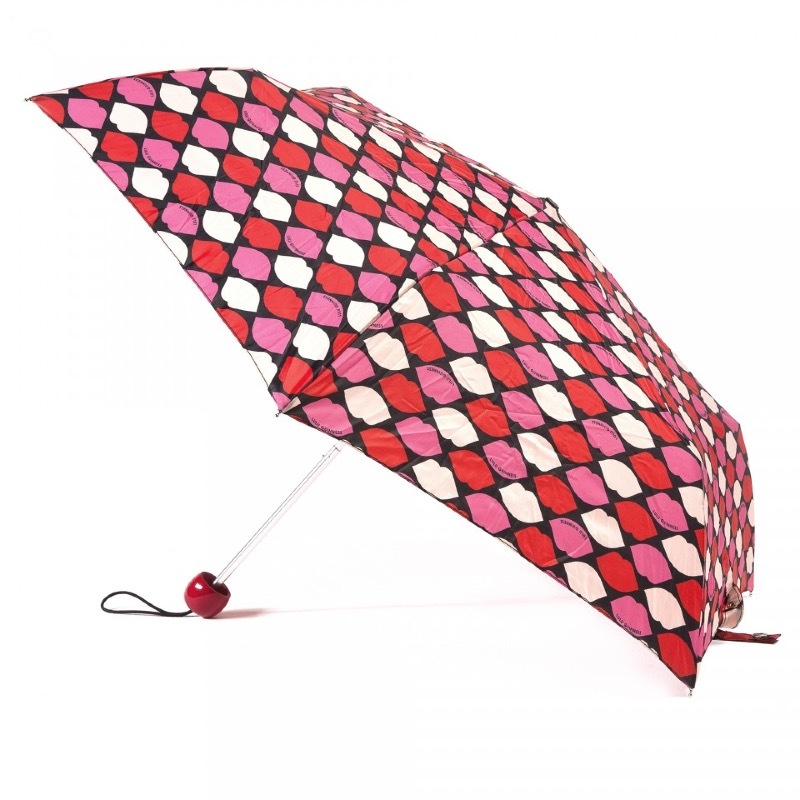 Typically Lulu Guinness, this slim and lightweight brolly features a scattering of bright pink, red and white lips on a black background. Perfect for gifting. Umbrella measures 22cm x 5cm when closed and 86cm when open. British accessories fashion designer Lulu Guinness OBE designs beautiful handmade, innovative handbags full of wit and glamour that reflect her strong personal style. Inspired by Dali's surrealism, pop art and her own red lips, her iconic lip clutch bags guarantee red carpet style.